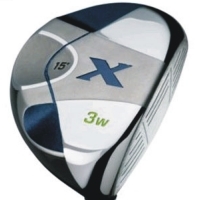 The Modified X-Sole Design provides versatile turf interaction, cutting through thick rough or gliding smoothly over tight fairways. It also lowers the leading edge to help you get the ball in the air more efficiently. The slightly larger head shape raises the moment of nertia (MOI) and is designed to appeal to a wider range of players. The slightly deeper face increases the effective hitting area and provides confidence at address. Strategically positioned internal weighting provides a high MOI for superior stability on miss-hits and also optimizes ball flight trajectories from the fairway or the tee.